Not all bronzers are created equally, but considering how many different options we have for getting our summer glow on, some brands serve up some pretty close competition with each other. And while the prettiness of the packaging itself doesn’t exactly rank in the higher end of importance given all the determining factors that go into choosing your perfect bronzer, it’s certainly a suitable tie-breaker. 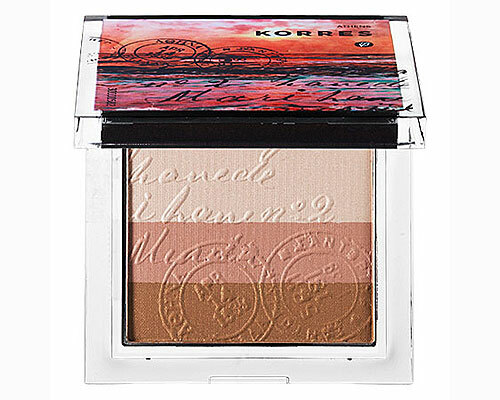 And what bronzer could possibly look prettier than Korres Magic Light Contouring Trio? With its picturesque Grecian sunset compact and the embossed, gradient pressed powder inside, this bronzer looks prettier than a postcard – both on its own and when applied to your complexion. 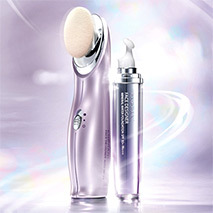 Subtle shimmer and radiant Goddess-like skin is yours in a few easy sweeps, whether you prefer using each of the three shades separately, or blended to create your perfect custom shade. Designed to contour facial architecture in the most flattering way possible, this bronzer is universally flattering and never harsh, so consider kissing all competing bronzers goodbye, whether or not you have your own Grecian getaway in the works!